Yummmmm! Love honey and especially love red chile – from Chimayo usually. Thanks for a great idea. We’re glad you like the red chile honey and hope you try it out soon. It is one of our favorite things, and is particularly great in salsa or brushed over chicken. I live in Southern NM and I buy my red chili honey at the farmers market in Las Cruces…I love it!!! I even put it in my oatmeal in the winter….I am going to try make some of this just incase of emergency!!! Thank you for sharing!! I think we’ve been to the Las Cruces farmer’s market, although we discovered red chili honey at the Santa Fe market. We never thought to put it in our oatmeal. We’ll have to give that one a try! New Mexico is definitely a state that easy to fall in love with! In addition to the scenery, NM cuisine is unique and delicious! 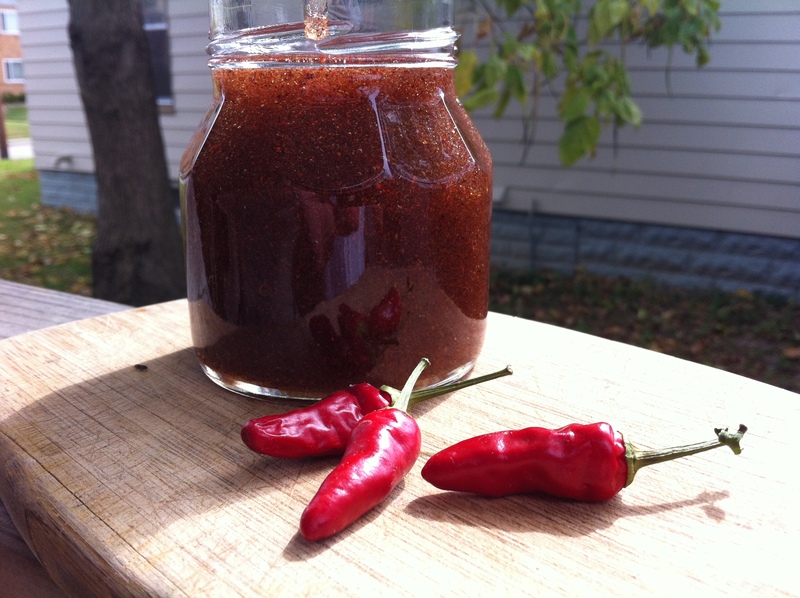 I’ve never had red chile honey but since I have all of the ingredients in my kitchen, that will change this week! I can taste it on grilled chicken, a sopapilla, and biscuits. YUMMY! One of the reasons we love writing this blog is because our readers always give us great ideas for recipes we already make. The red chili honey is great on grilled chicken and sopapillas, but now we’ll have to try it on biscuits too. We checked out your Website also, and it’s phenomenal. Now you’re on our blogroll too, so we’ll have to try some of your recipes as well.